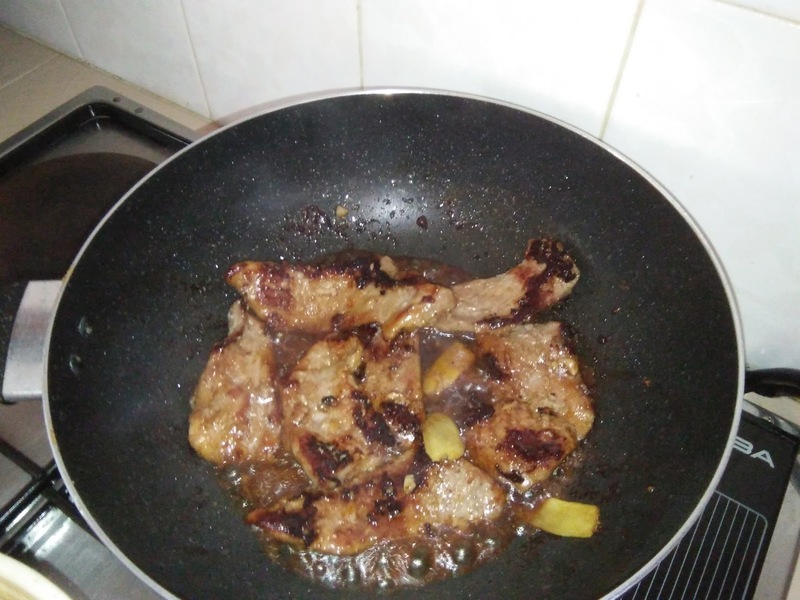 This is a rather easy and simple meat dish to prepare yet the taste is delicious. It is a homey dish and kind of a mother’s signature dish for most families but my mum prepares it without addition of black pepper. 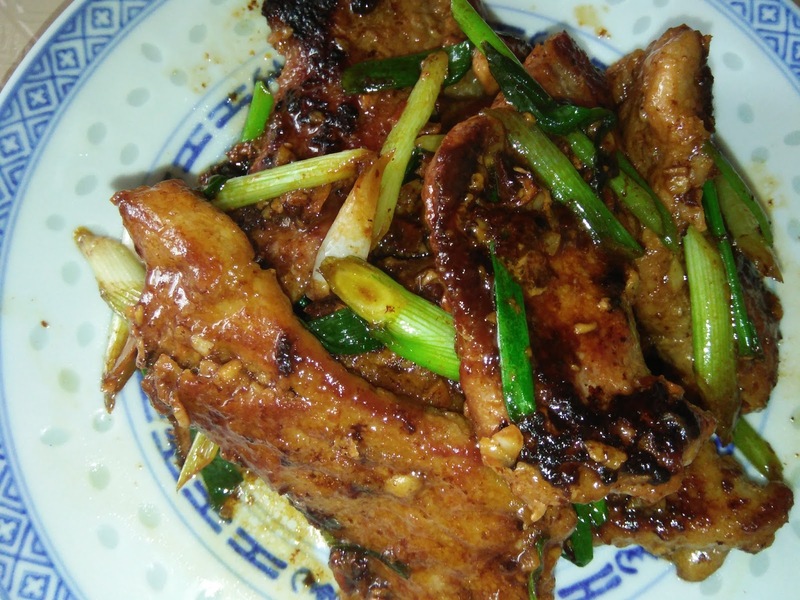 The addition of this ingredient does give it an added aroma and taste. 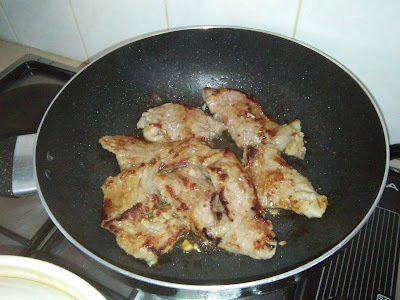 The meat slices are aromatic, tasty and I love the spring onions. Add more if you like the fragrance and sweetness of spring onions. 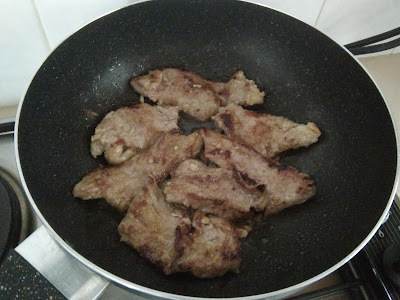 Best to use really tender meat because this is a pan fry dish without braised. Tenderise the meat slices and season with marinade for at least 30 minutes. 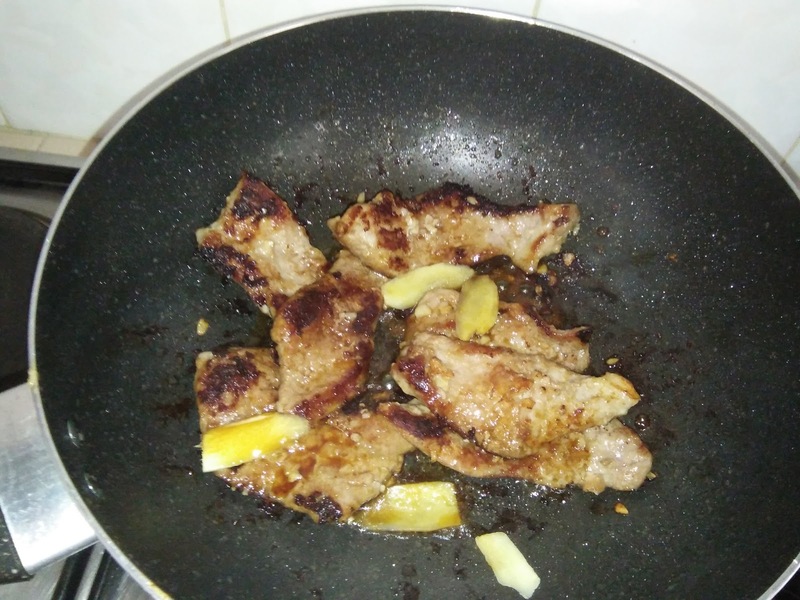 Pan fry marinated pork with 2-3 tablespoons of oil until golden brown and cooked through on both sides over medium heat. 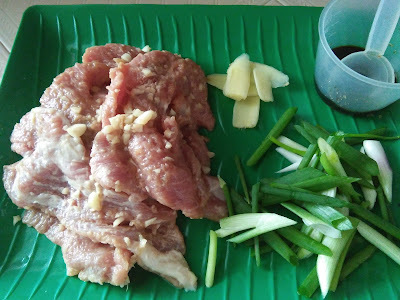 Add in seasoning and green onions. Stir fry to mix well and heated through. 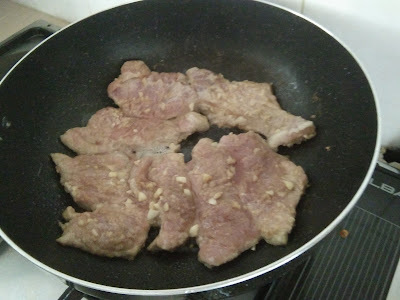 Sprinkle some water if you think it is a little dry but the seasoning is just coat the meat. Kimmy, this dish is so tasty! Your photos of the dish is bright are sharp. New camera? Hi Phong Hong, not really a new camera. 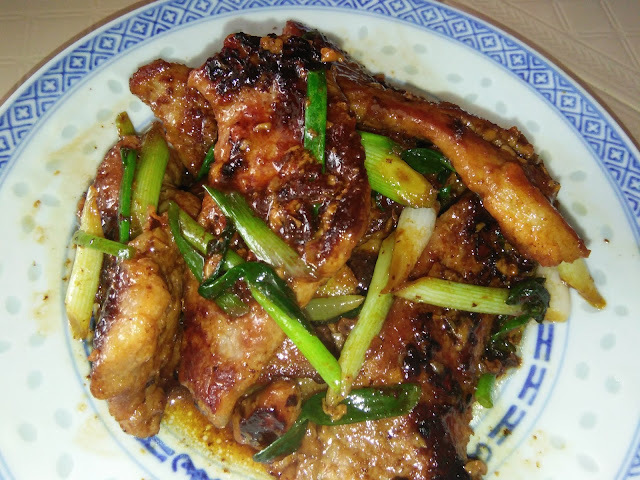 I used my Oppo handphone camera this time because the weather was gloomy and dark in my kitchen when I prepared this dish. The photos taken were better with this HP compared with my usual camera. 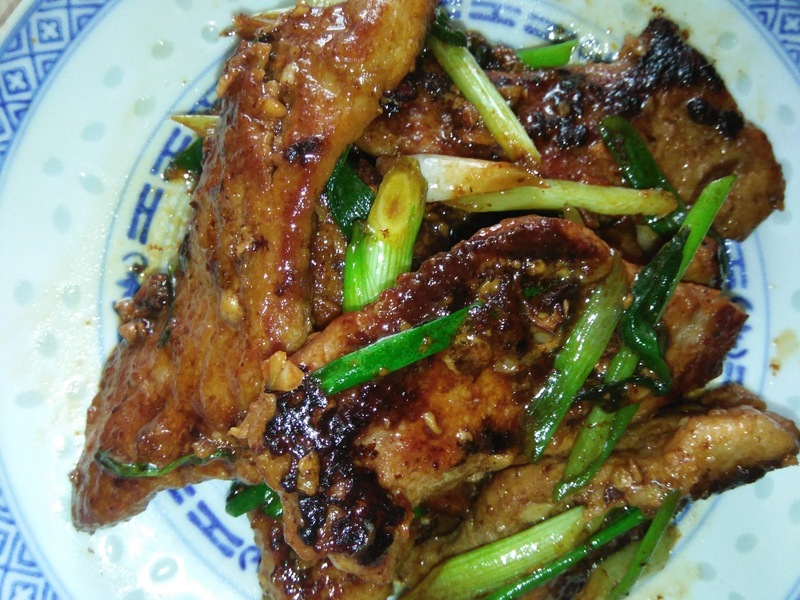 This meat dish is awesome, fragrant, tasty and tender. 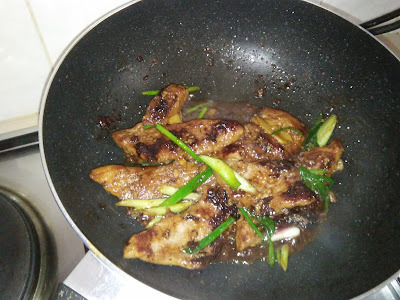 Hi Kimmy, I tried this dish for dinner today. It's quite tasty. Hi Lissa, thanks for trying and your feedback. The taste is generally just nice for my family tastebuds. I believe if you increase the seasoning, it would tastes perfect for most people we are used to eating out. Hi Joyce, this cookbook has many wonderful recipes and I'm getting to love them. Initially thought of giving it away once I tried most of the recipes. Now, I changed my mind. 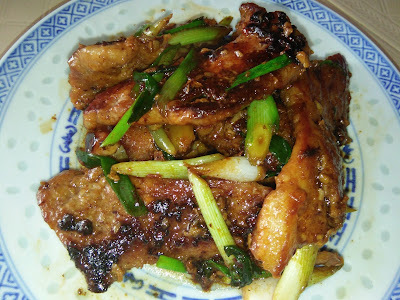 I think I will add lots of spring onions next time when I cook this dish again. 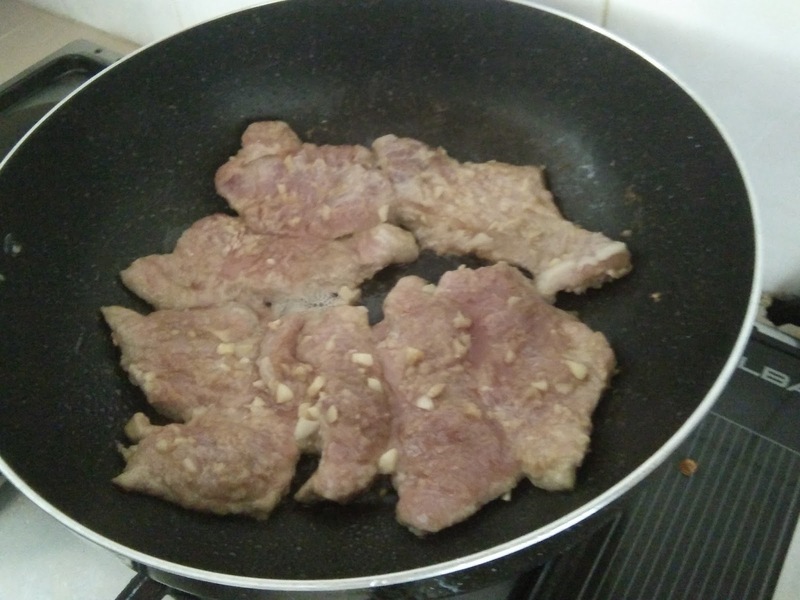 It should smells and tastes good.